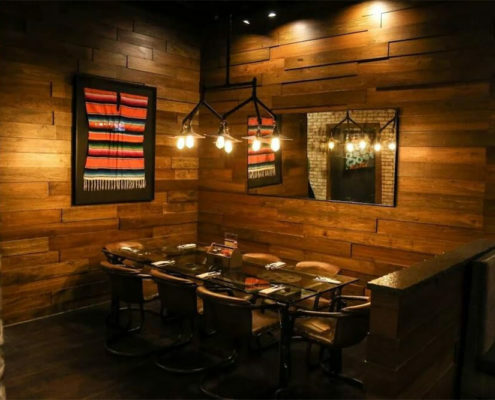 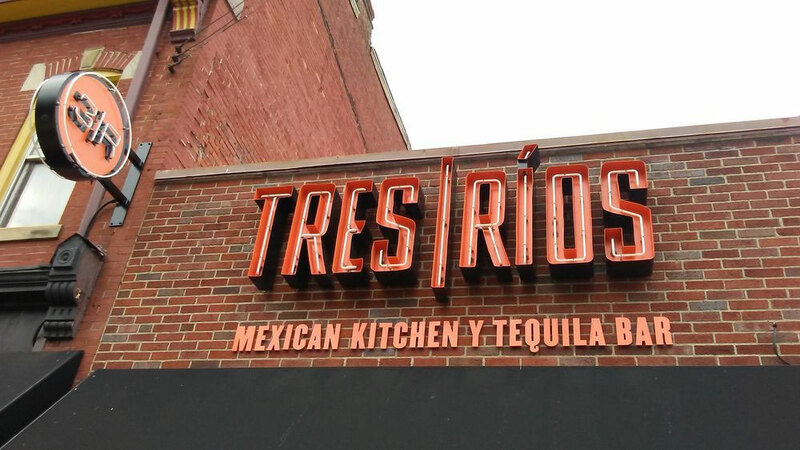 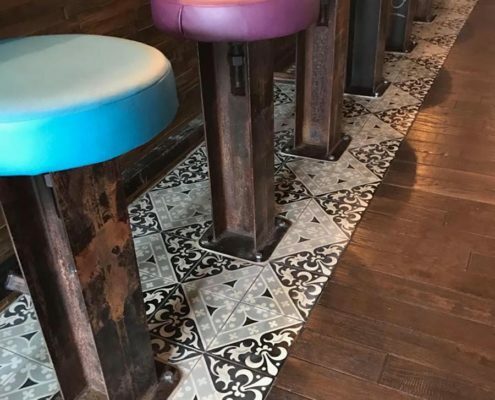 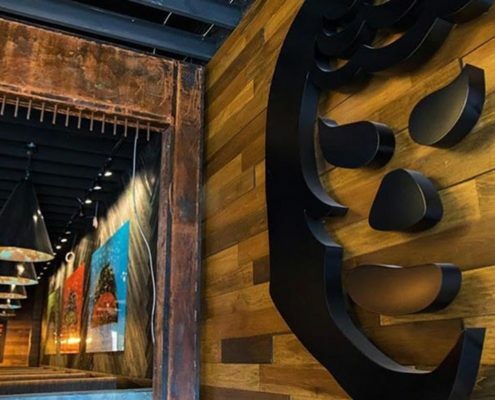 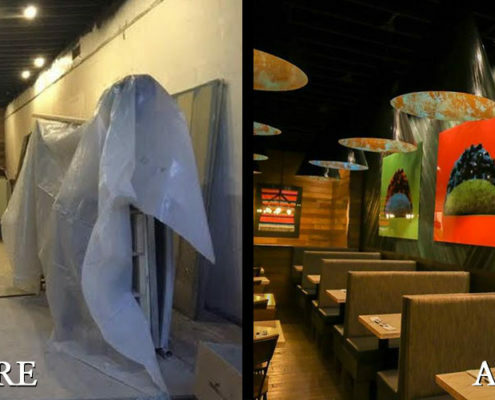 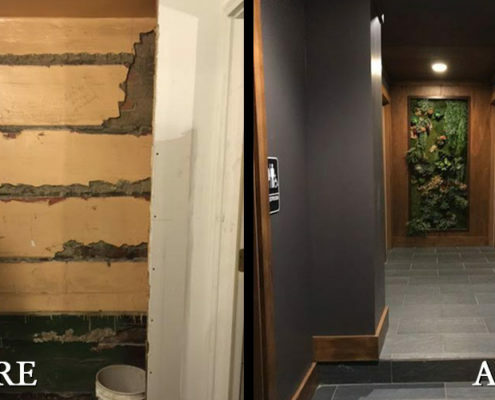 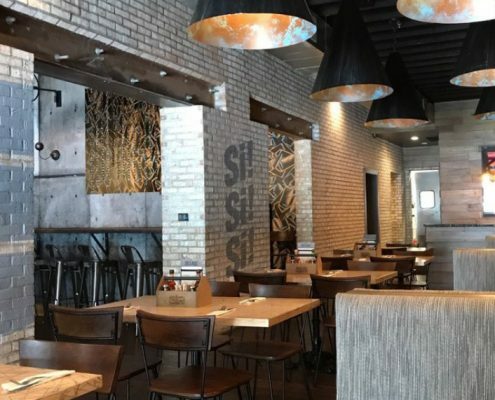 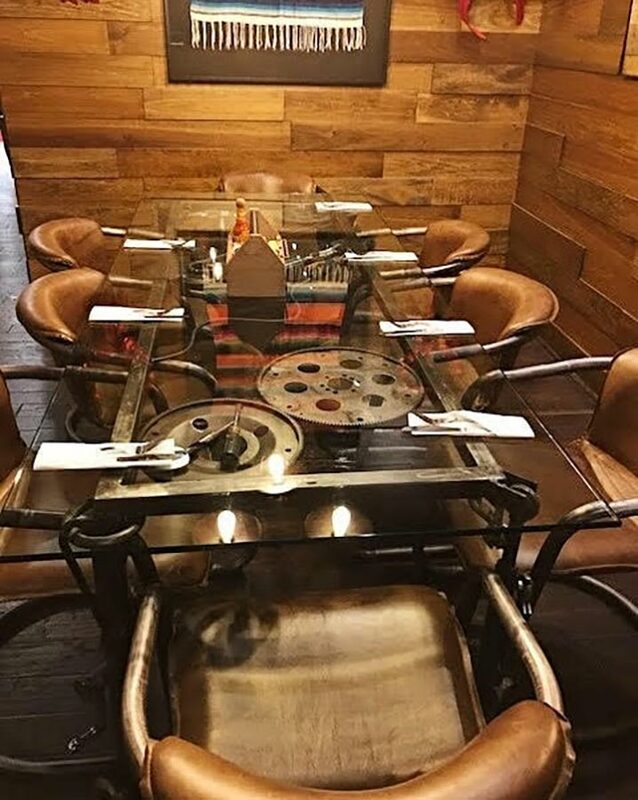 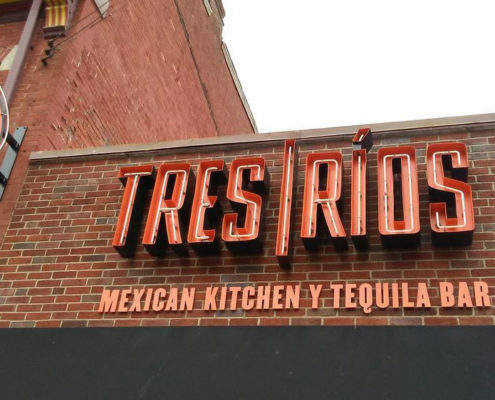 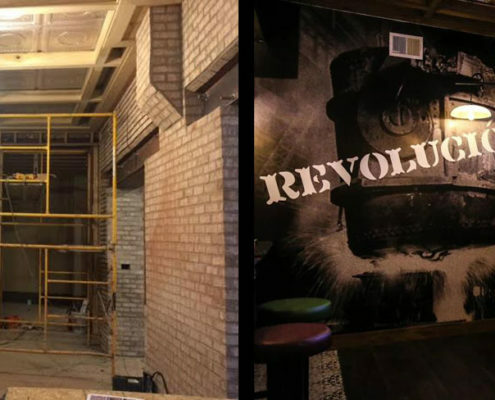 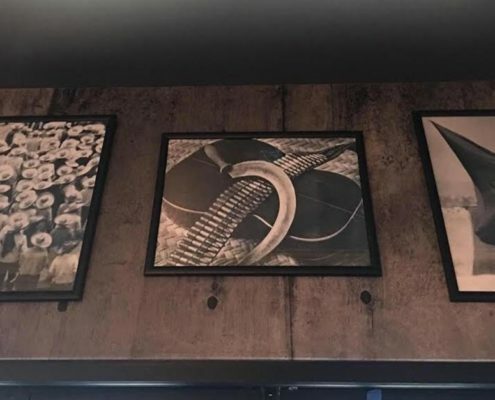 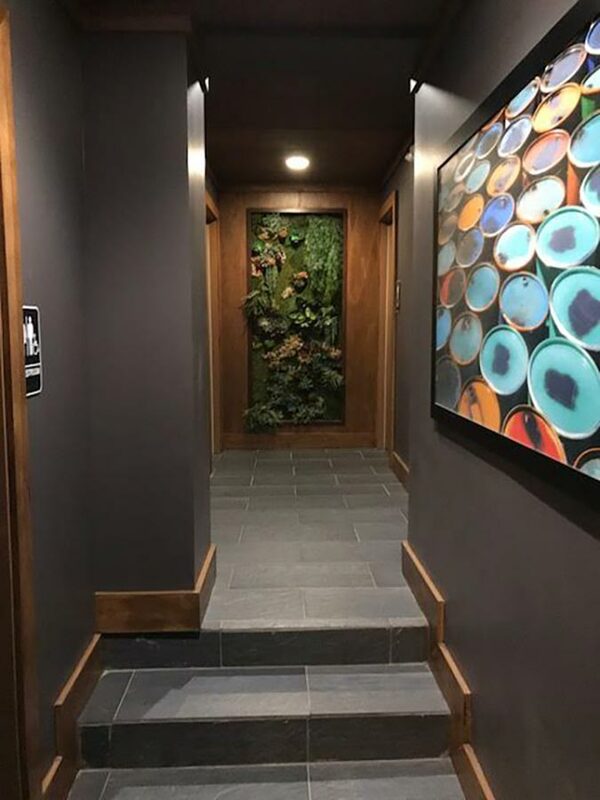 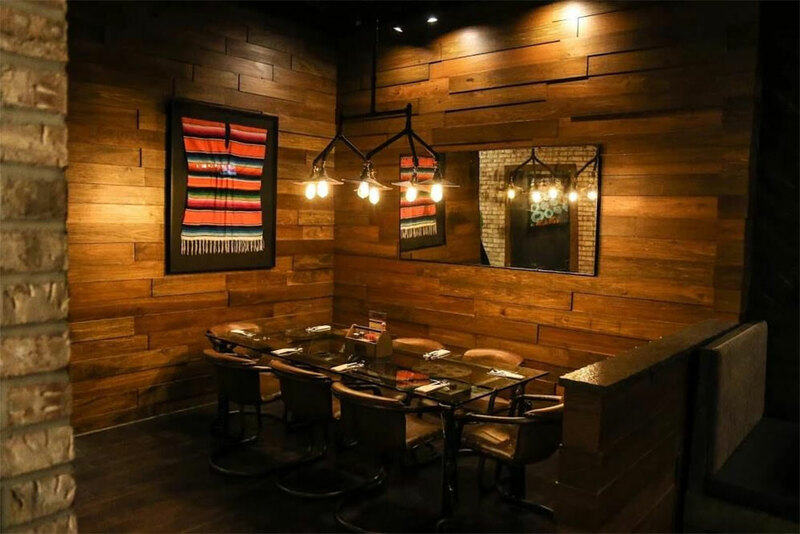 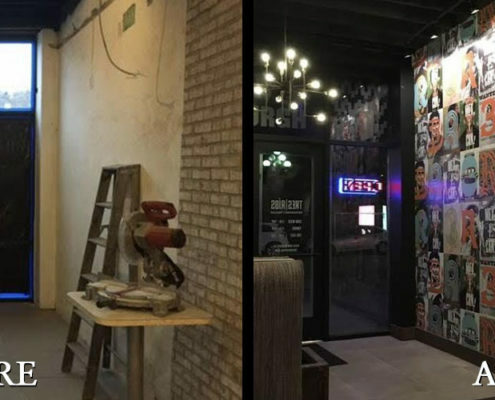 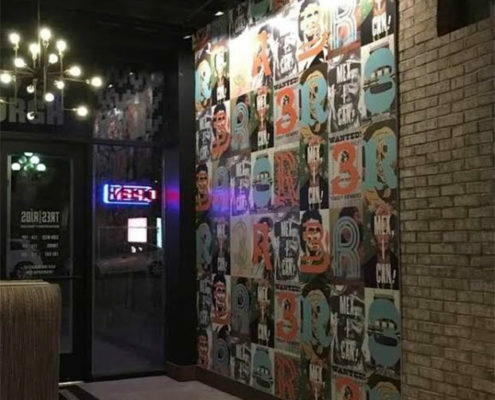 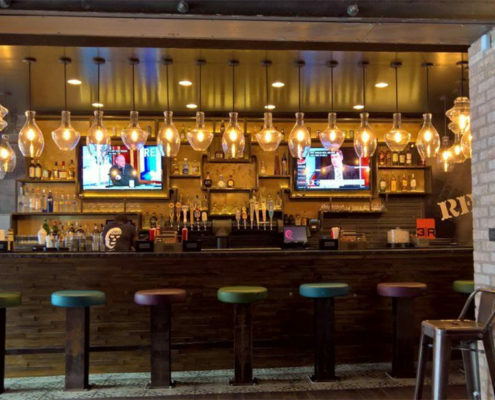 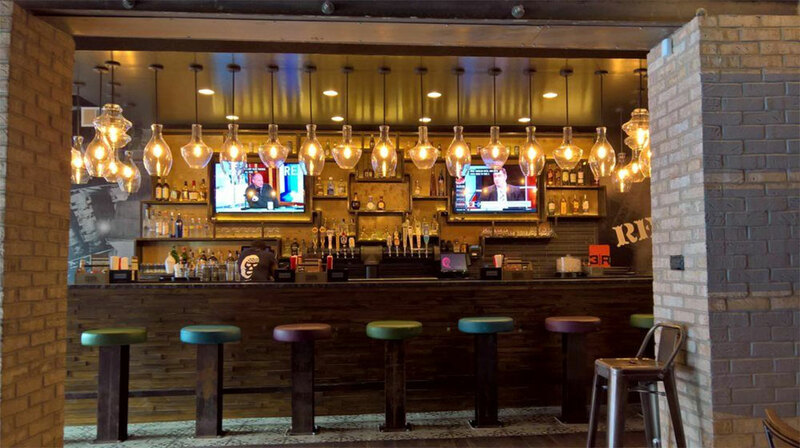 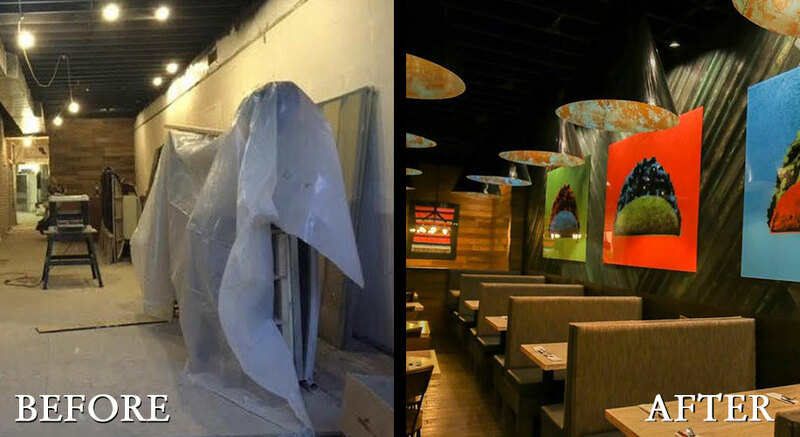 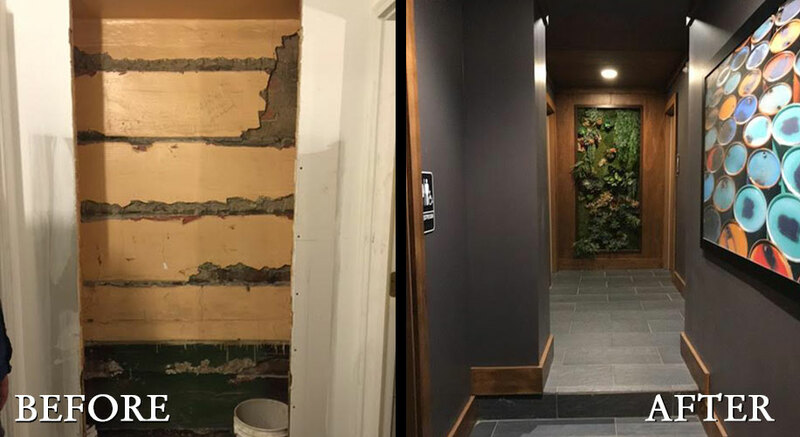 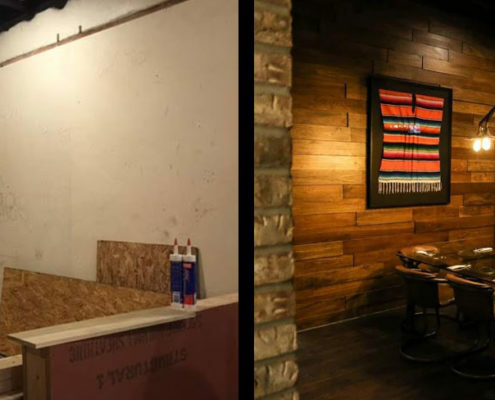 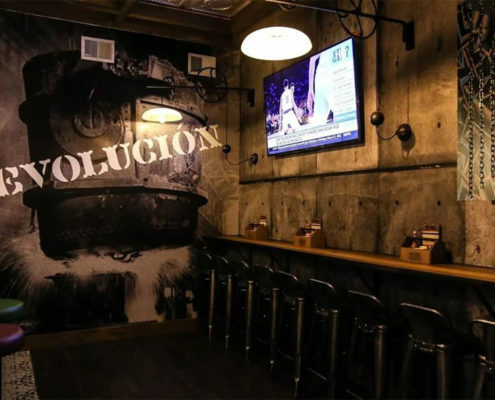 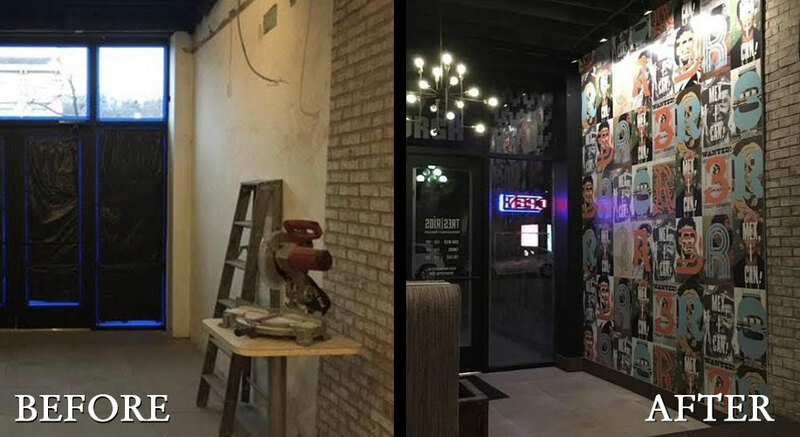 This project consisted of converting an original row house structure, nestled in the Southside district of downtown Pittsburgh, into a Mexican restaurant. 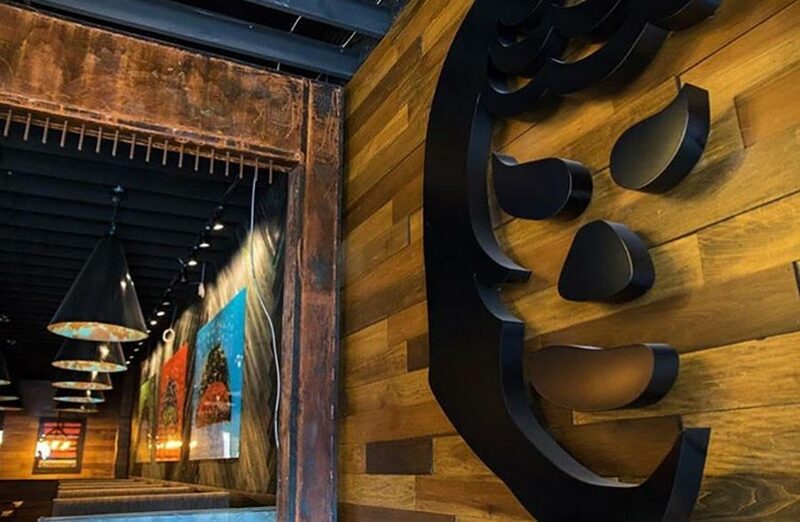 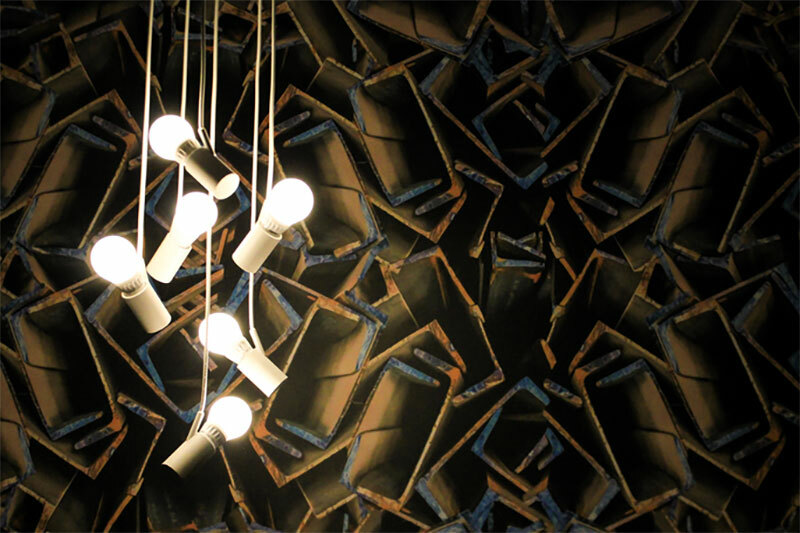 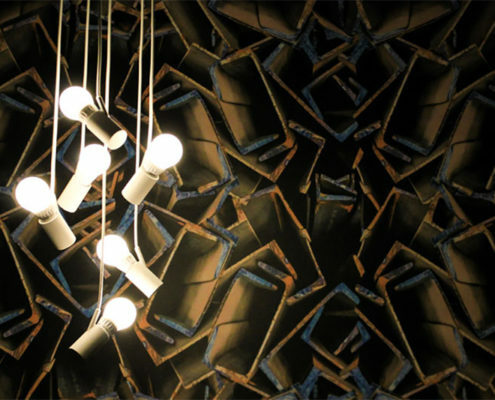 The client’s vision was to merge the history of Pittsburgh steel production with Mexican culture. 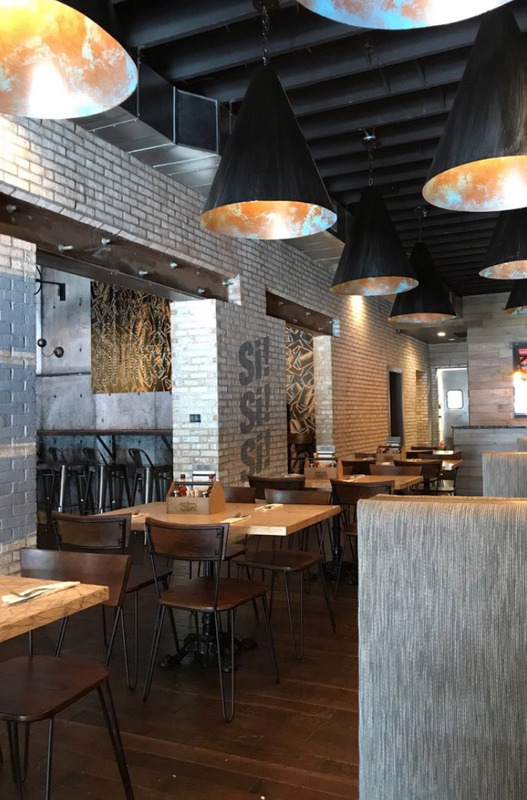 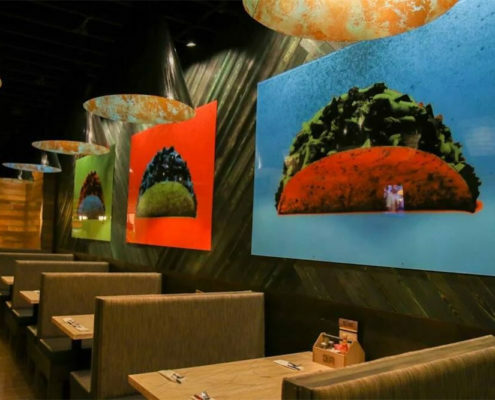 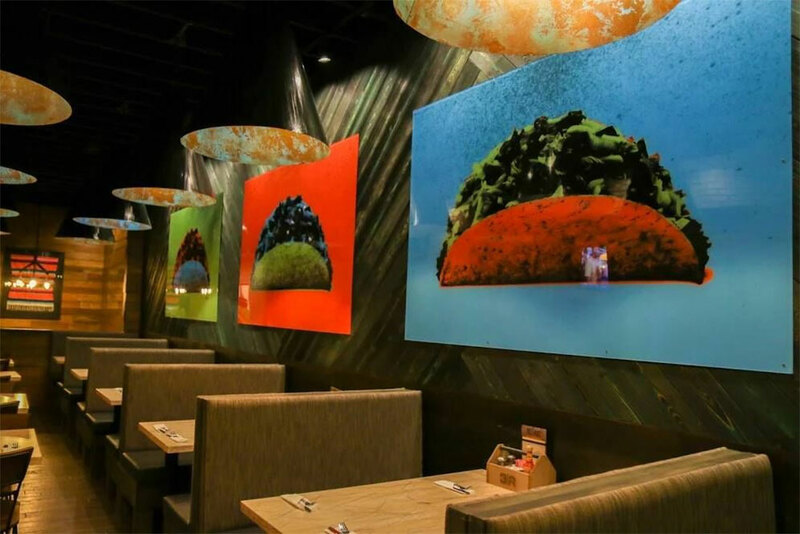 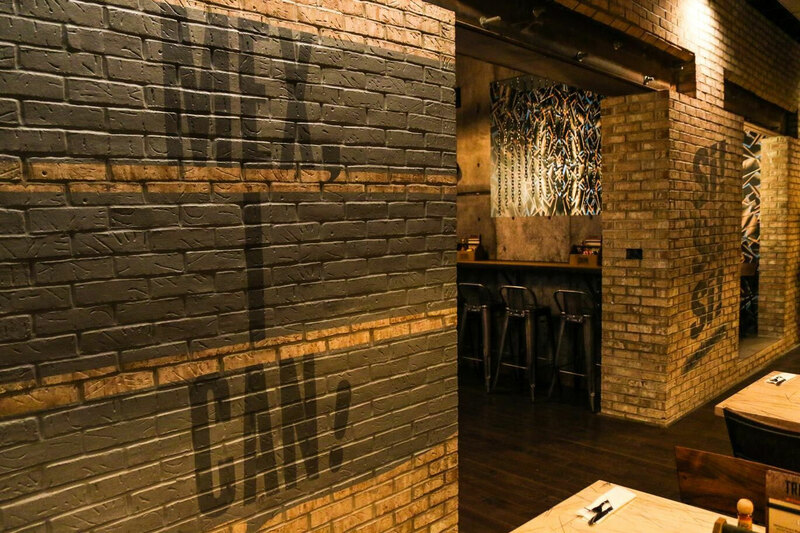 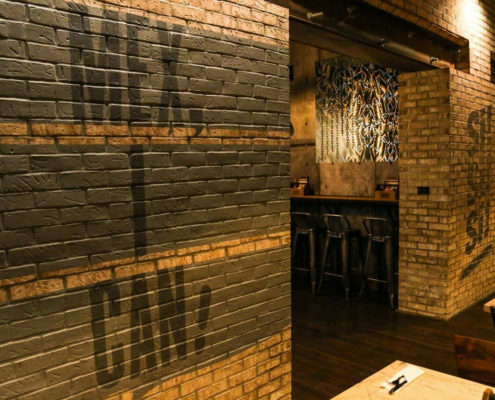 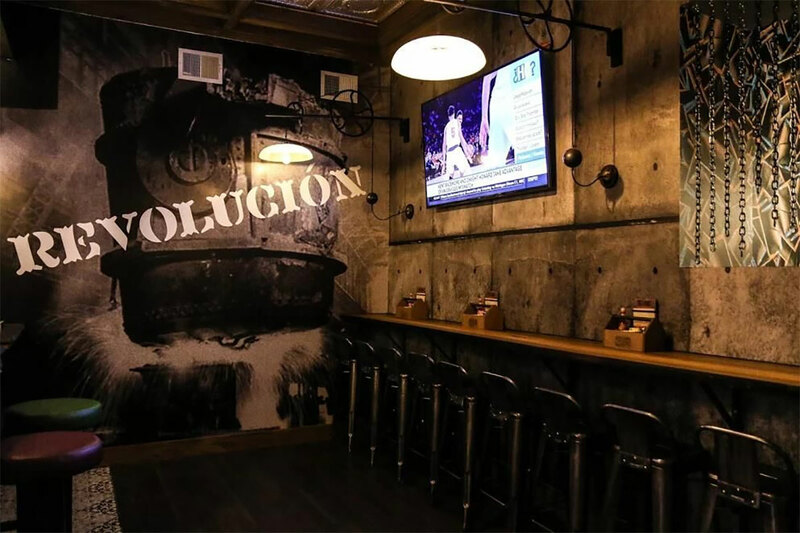 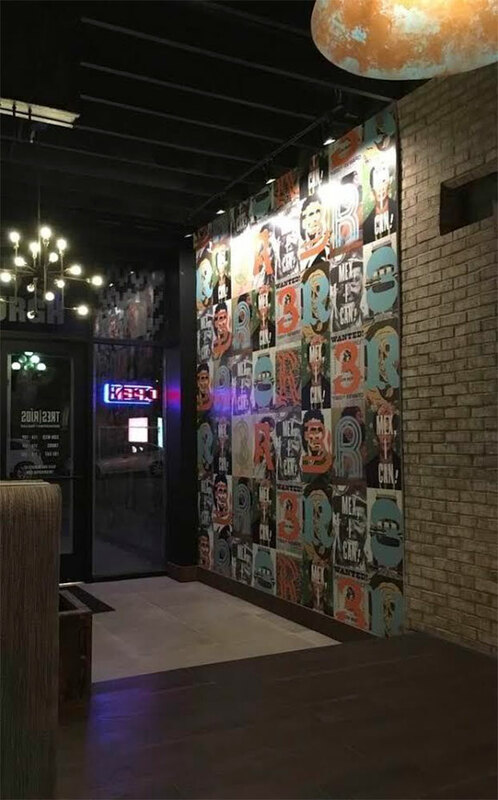 Metal, brick and concrete wall finishes serve as a muted textured backdrop to colorful Mexican references and steel smelting pot graphics. 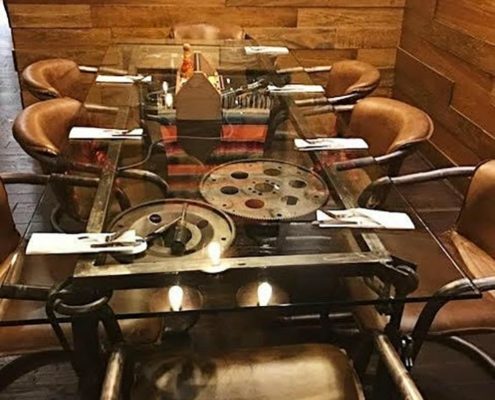 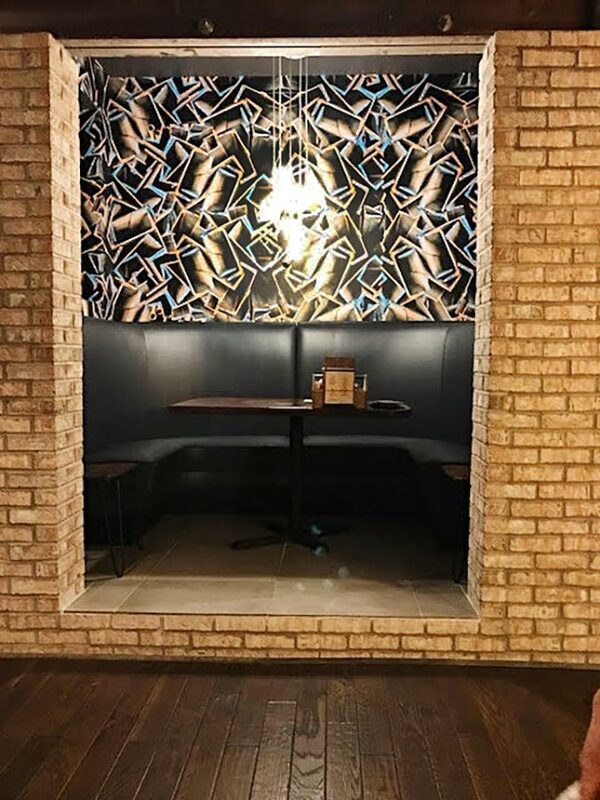 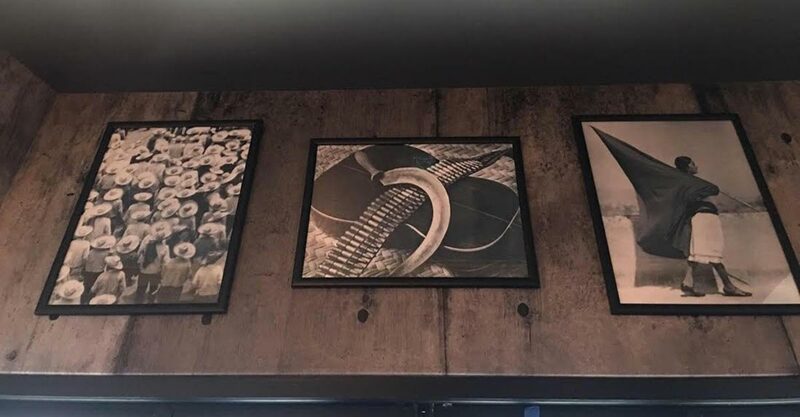 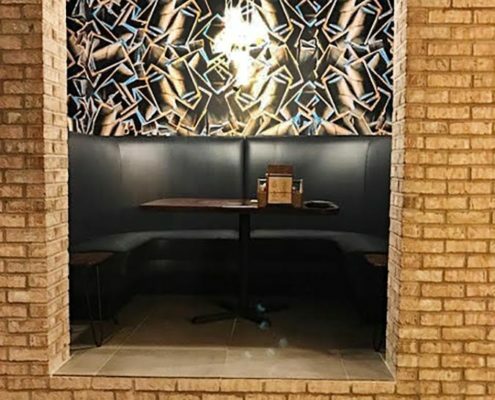 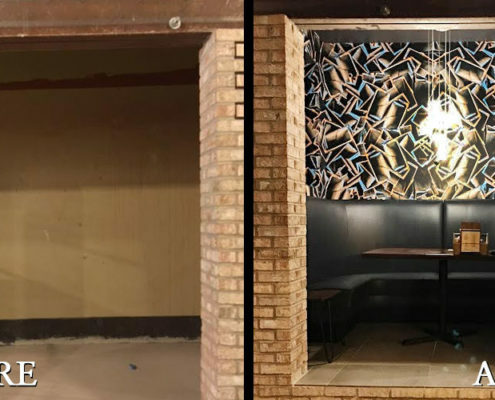 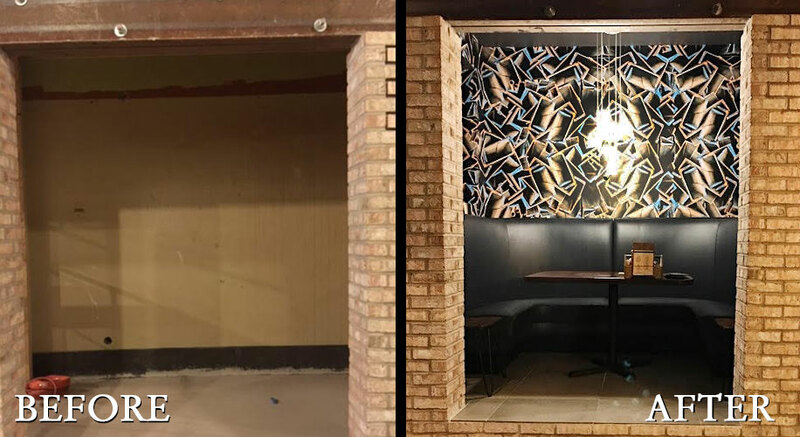 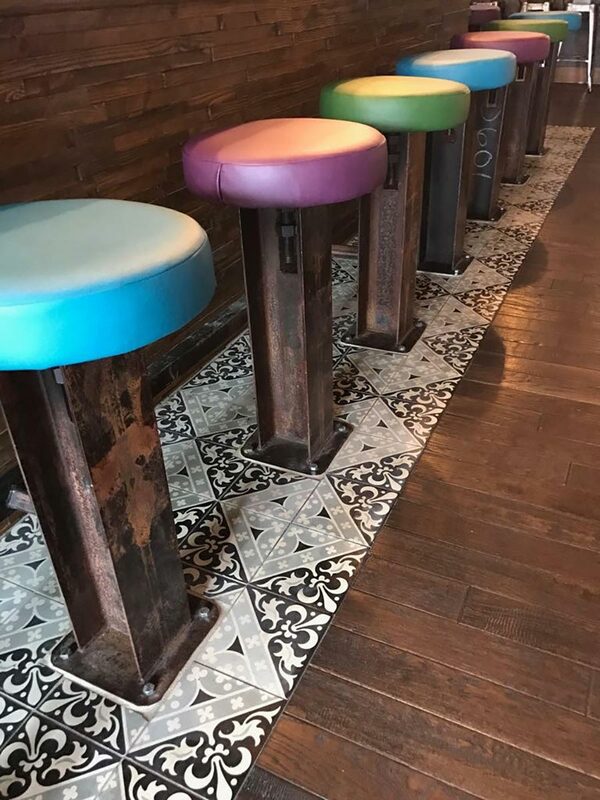 Architectural details such as steel beams, chain curtains, brick pillars, and a custom table base constructed from miscellaneous metal pieces promote an industrial inspired design. 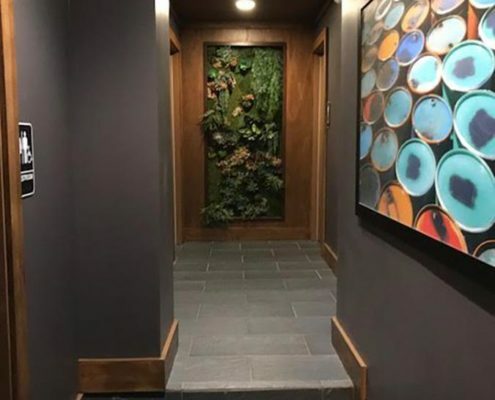 Strategically placed large custom pendants and an accent wall of dark green Shou Sugi Ban wood dominate the unique dining room.